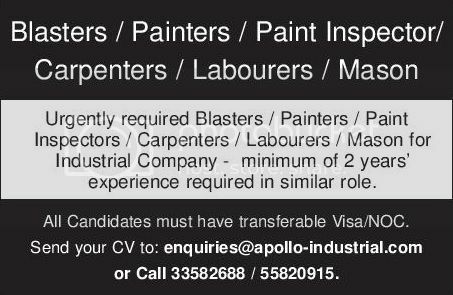 Jobs Apollo Industrial Qatar December 2016. Copyright The Daily The Gulf Times Newspaper Qatar. 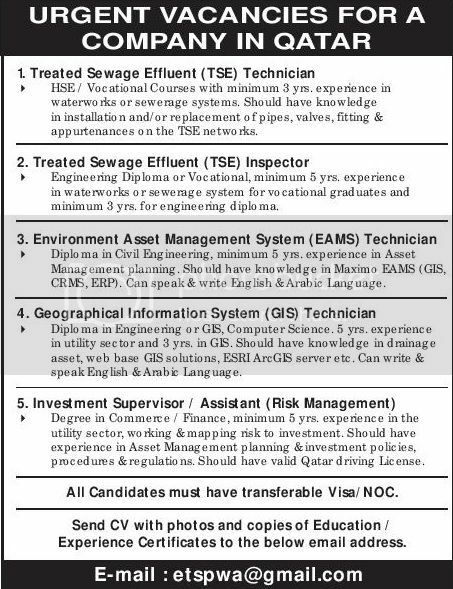 Jobs EMCOR Facilities Services Qatar W.L.L (EFS). Copyright The Daily The Gulf Times Newspaper Qatar. Jobs Five Star Hotel Doha December 2016. Copyright The Daily The Gulf Times Newspaper Qatar. 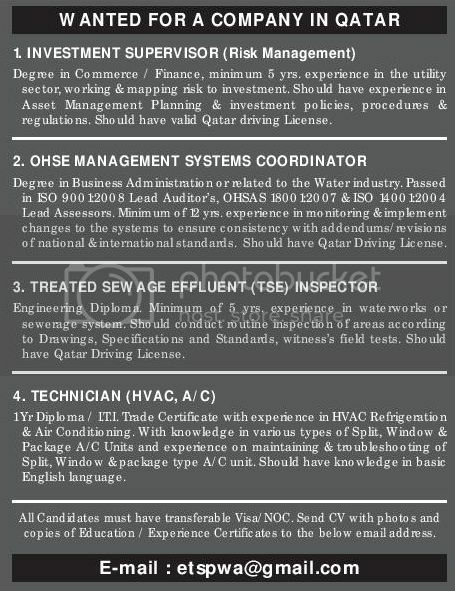 Jobs Concrete Ready Mix Company Doha Qatar. Copyright The Daily The Gulf Times Newspaper Qatar. 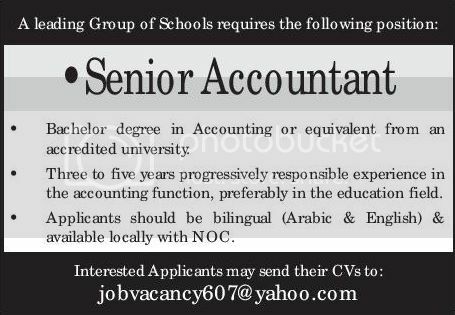 Senior Accountant Job Leading Group of School Qatar. Copyright The Daily The Gulf Times Newspaper Qatar. 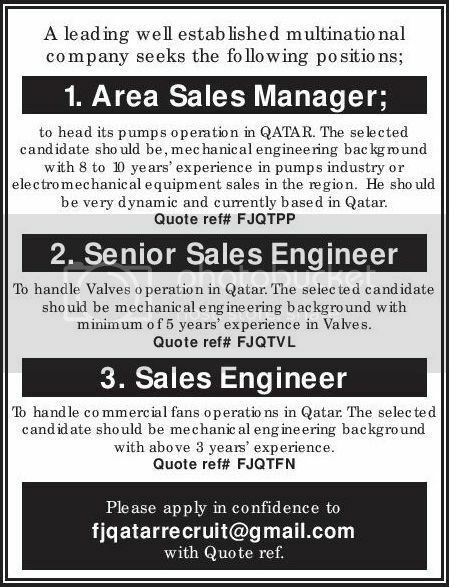 Jobs Multinational Well Established Company Qatar 2016. Copyright The Daily The Gulf Times Newspaper Qatar. 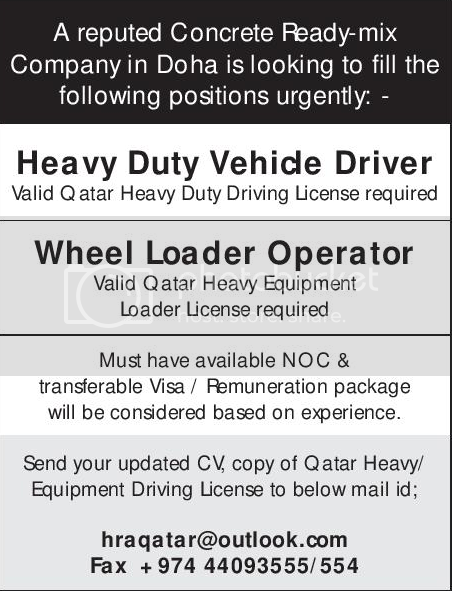 Jobs Wanted For A Company In Qatar Dec. 2016. Copyright The Daily The Gulf Times Newspaper Qatar. 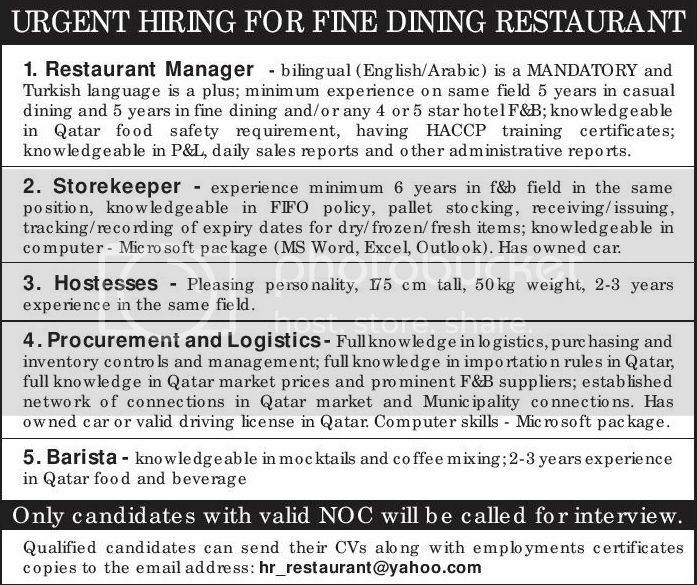 Jobs Fine Dining Restaurant Qatar December 2016. Copyright The Daily The Gulf Times Newspaper Qatar. 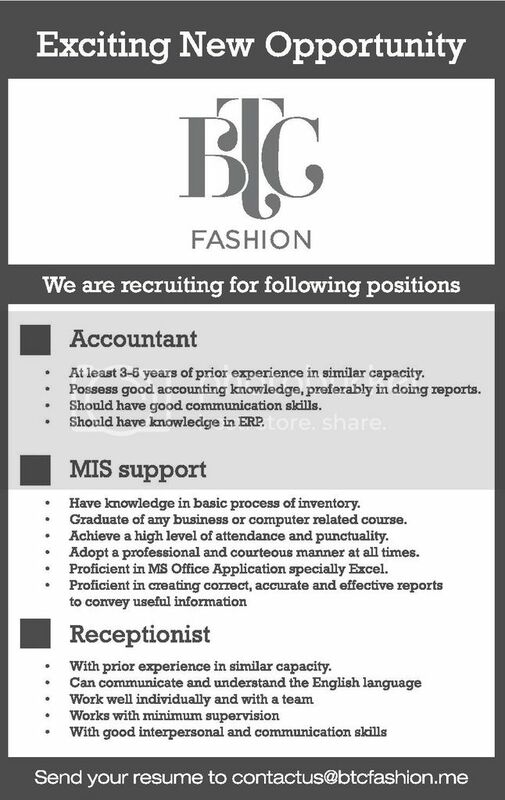 Jobs BTC Fashion Qatar December 2016. Copyright The Daily The Gulf Times Newspaper Qatar. 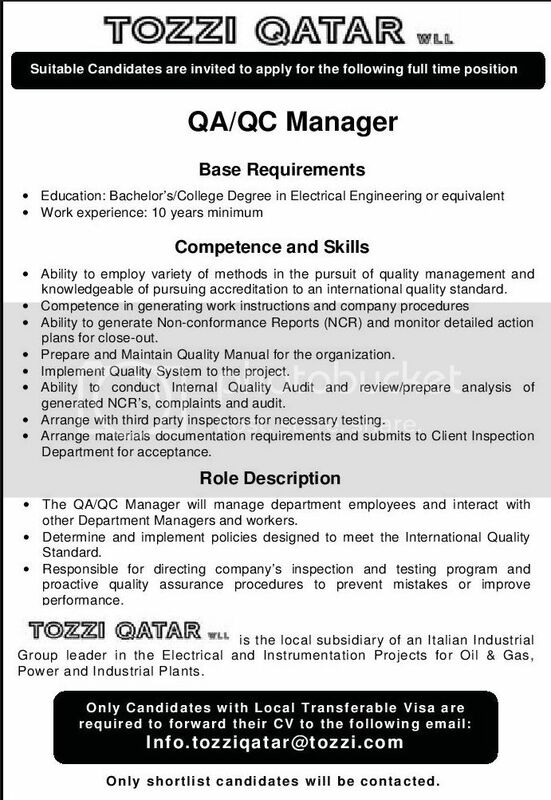 QA/ QC Manager Job Tozzi Qatar WLL Dec. 2016. Copyright The Daily The Gulf Times Newspaper Qatar. 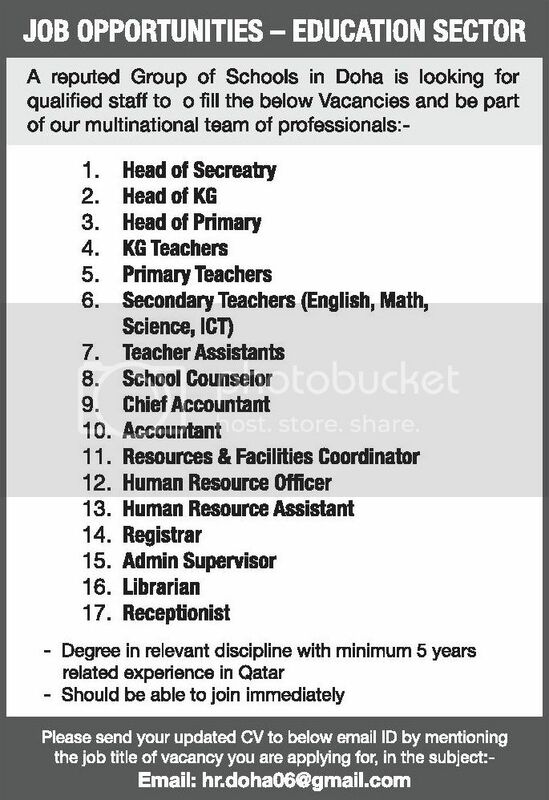 Job Opportunities Education Sector Doha Qatar Nov. 2016. Copyright The Daily The Gulf Times Newspaper Qatar. 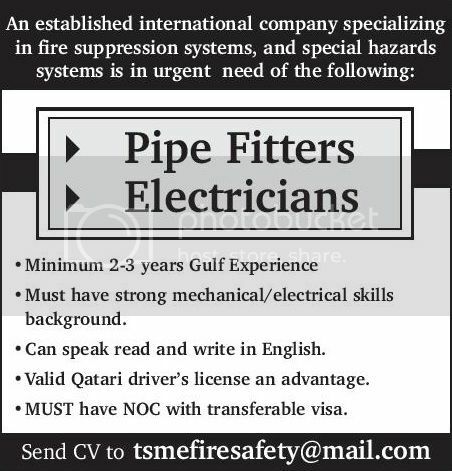 Pipe Fitters and Electricians Job In Qatar Nov. 2016. Copyright The Daily The Gulf Times Newspaper Qatar. 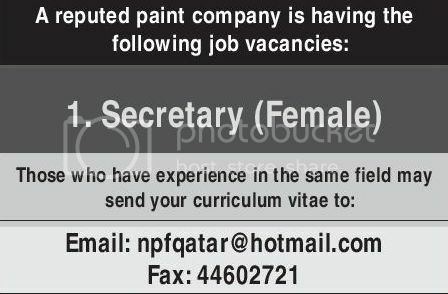 Female Secretary Job Paint Company In Qatar. Copyright The Daily The Gulf Times Newspaper Qatar. 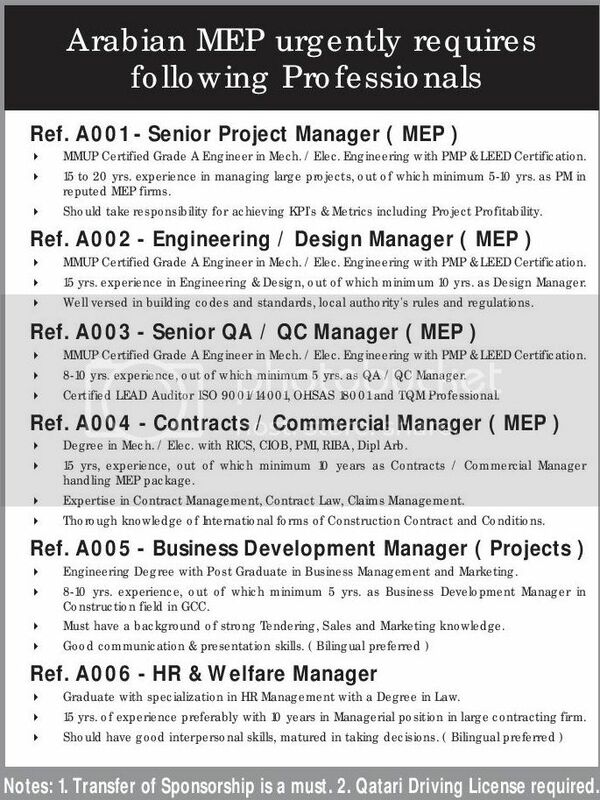 Leading Arabian MEP Company Qatar Job Vacancies Nov. 2016. Copyright The Daily The Gulf Times Newspaper Qatar. 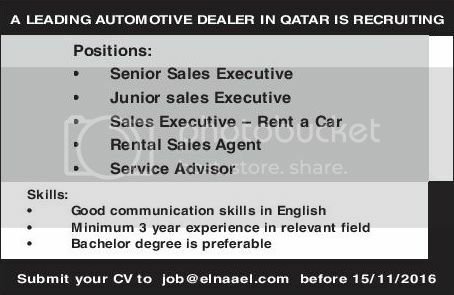 Sales and Service Jobs Leading Automotive Dealer Qatar. Submit your CV to job@elnaael.com before 15-11-2016. Copyright The Daily The Gulf Times Newspaper Qatar. 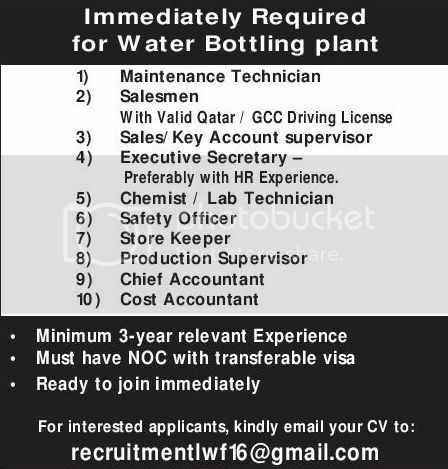 Jobs Water Bottling Plant Qatar Nov. 2016. Copyright The Daily The Gulf Times Newspaper Qatar. Tea Boy and Friver Job In Qatar Nov. 2016. 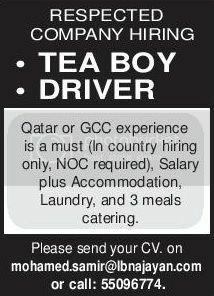 Please send your CV on mohamed,samir@ibnajayan.com Copyright The Daily The Gulf Times Newspaper Qatar. 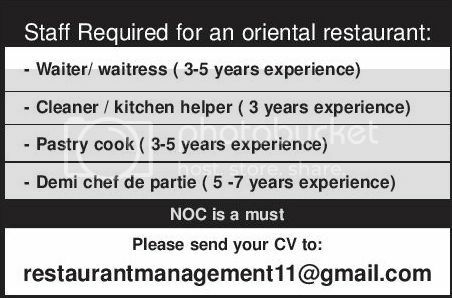 Oriental Restaurant Qatar Jobs Vacancies Nov. 2016. Copyright The Daily The Gulf Times Newspaper Qatar. 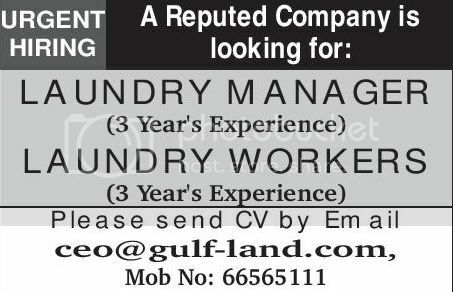 Laundry Manager and Workers Job Qatar Nov. 2016. Copyright The Daily The Gulf Times Newspaper Qatar. 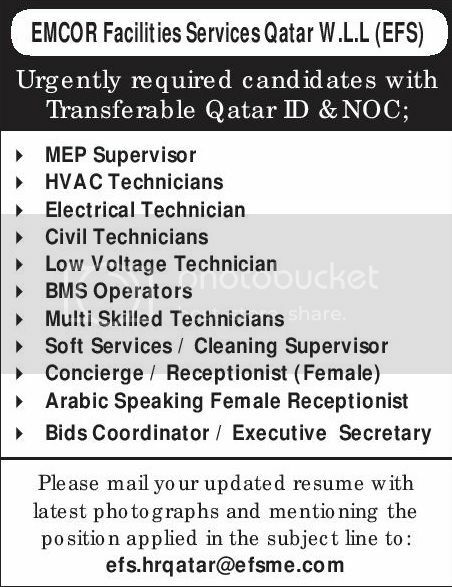 Urgent Vacancies For Company In Qatar Nov. 2016. Copyright The Daily The Gulf Times Newspaper Qatar.